So you’re thinking about moving to the other end of the state or across the country. As exciting as this transition is, it’s important you take a moment to consider the challenges this type of relocation presents. This is no ordinary move down the street or to the next town over; it takes much more work and coordination. To help you, our San Clemente long-distance movers have listed a few challenges and the solutions to each. Problem: Not all moving companies are created equal. Some provide incredible services while others fall short of expectations. If you aren’t careful, you might get burned by a mover that will lose or damage your items during your long journey. Solution: Do your research! Shop around to find the companies that offer the best value. From there, look at online reviews for each to see what others had to say about their experiences. It may be smart to ask some friends too to see if they have any insights. Problem: Moving companies charge you based off three factors: weight of items, distance to destination and services selected. Many people end up paying for dead weight because they don’t ditch their unused items. Solution: Make a pile of items you haven’t used in years. If you find yourself thinking you may need them again, kill that thought. If you haven’t used something in years, you most likely won’t use it again in the future. From there, try selling these items online or through a garage sale. Whatever you can’t manage to sell, donate to a local charity or thrift store. Problem: Many people prefer to pack on their own. There is no problem with this if done the correct way. However, many people do not and their items end up breaking in transit because of it. Solution: Read up on proper packing techniques and apply them to your own project. Once finished, double check to make sure the boxes will hold up during the long journey. 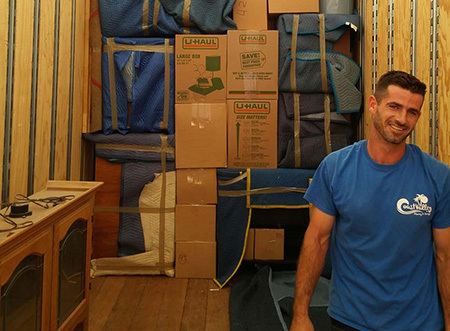 If you don’t have time for all of this, ask your moving company about their packing services. By approaching these challenges the right way, you’ll have no problem getting through your long-distance move with ease. If you’re looking for help from a moving company, contact Coast Valley Moving & Storage today. Give our San Clemente interstate moving company a call or fill out our online form to receive your free quote!